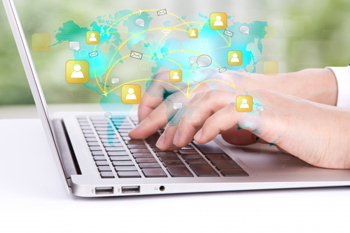 Why Businesses Need Geotagging Data Entry Services? Why Businesses Need Geotagging Data Entry? Home/Outsource to India/Why Businesses Need Geotagging Data Entry? 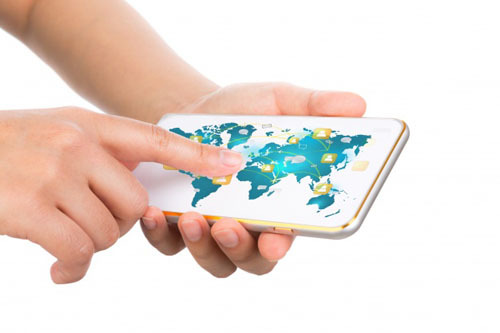 In today’s digital world geotagging has become especially important for businesses to digitally map their business locations with their clients and business partners across online platforms. Since most business transactions are happening online, pinpointing the geographical coordinates can be crucial for businesses. Geotagging a location accurately require humungous human effort, time and resources, which makes it financially nonviable for organizations. It is a complex task where you may need professional help to help you in your geotagging data entry needs. We have the expertise in organizing geotagging information from images, videos or website content in different formats to create secure databases for all the mapped locations of your business. Geotagging your business location in Google maps and Google earth will make it easy for the users to find your business in searchable results. We employ state of the art technology and a well experienced team of experts to handle the Geotagging data entry needs of your organization to ensure a high precision data base. The best part is that we can easily convert geotagged information into a format that is compliant with your operating system or device. Geotagging has become an advanced digital marketing tool in all types of business organizations. It will enhance the online visibility and reach of businesses among their audience and make them easily spotted in search engine results. Geotagging refers to the process of adding geographical information to different media like images and video among others. The data will consist of coordinates like longitude, latitude, bearing, altitude, distance and place names. You can give specific information like the location of the source image or even the location details of the users who log in to view the picture by geotagging. By outsourcing geotagging data entry services to us, you can save on time, effort and money, which in turn can be utilized for your core business operations. We offer customized and cost effective geotagging solutions to suit the needs of the clients and to ensure the maximum results. Business Tagging Services – Get your business geotagged on Google Map and Google Earth with accuracy and be visible in top search results. Image and video Geotagging Data Entry – We offer geotagging for images of any format and organize the mapped images in secured data bases. It will enable you to browse through images and access location information. We can also sort and index videos and geotag them to make them easily accessible. Website Geotagging Data Entry – With tons of information to process, businesses find it very much challenging to keep their data in a structured and easily accessible format. We source multiple geotagged information from websites and put it in a single systematized database, which ensure better information management. Geotagged Data Conversion – Our expert team can convert multiple ranges of geotagged data into a format compliant with your company’s website, operating system or any other device. We follow industry standards and security mechanisms to ensure data confidentiality while carrying out geotagging data entry services. The team collects data provided by the customer, which will be extracted with high precision using automated scanners after which the data will be geotagged. We make sure that the accurate geographical location is tagged to the data after which it is formatted for use across a variety of platforms. The data base will be created keeping in mind the needs of the client and in a format that is compliant with their operating system. Geotagging is not just useful for businesses that are located in multiple locations around the world but even for small start ups because it enhances their online visibility and make it easier for their target audience to reach out to them. Did you like this post? Let us know your feedback at the comments section below. We, at Sasta Outsourcing Services love to hear from you!